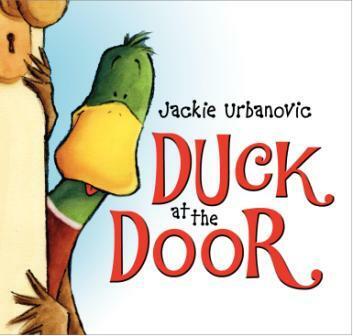 Jackie Urbanovic‘s lighthearted Duck at the Door is sure to tickle readers who love animals. When there’s a knock at the door late at night, all of the furry and feathered inhabitants of the house wake their person Irene to see what to do. She graciously takes in a duck who’s separated from his flock. After a while, the duck’s odd habits begin to wear on the domesticated animals, but still they’re sad to see him leave when his flock returns from the south. Months later, however, there’s a knock on the door … and this time the entire flock has decided to spend the winter with Irene and her clan. This book introduces readers to themes of domestication, wildlife rehabilitation, and migration. After you’ve read this book with your little one, learn about real-life rehab by visiting the Fund for Animal’s website.